A certificate in forensic science is for those looking for a career in federal, state or local forensic science laboratories, coroner offices and medical examiners. Forensic scientists apply scientific principles and methods to legal questions, to serve justice. It is pertinent to mention here, however, that a certificate on its own will not qualify you as a forensic scientist. Is the certificate for you? As mentioned earlier, some forensic scientists work in forensic labs but what is it that they do there? They collect and analyze physical evidence in the lab or at the crime scene and help police and other law enforcement agencies investigate crimes. Is that all you need to become a forensic scientist? As mentioned earlier, a certificate in forensic science is not enough to become a forensic scientist; you would need a bachelor's degree, at least. This claim is backed both by the American Academy of Forensic Sciences and the US Bureau of Labor Statistics (BLS). What the certificate in forensic science might do is help get you a beginning-level job in a forensic lab, or help you in enrolling in a bachelor's degree program. It may further enhance your forensic scientist skills. Forensic scientists do not need to be certified or licensed. However, just like in other occupations, those who are certified and/or licensed, have better chances of getting employed in their preferred work settings. Wondering what is the use of learning forensic science and its importance in any criminal justice system, then read this historical account from 13th century China. A farmer was murdered with a sickle but there were no witnesses. A wise death investigator ordered the peasants to bring their sickles to the town square and place them on the ground under the hot sun. After some time, flies started to gather on one of the sickles, attracted by the smell of blood. The murderer was found. While not many murders take place with sickles anymore, the purpose of forensic science remains the same as it was in 13th century China, to use scientific ways and means to serve justice. There is no harm in admitting that forensic scientists do not make a killing, however, they do earn a respectable income. The US Bureau of Labor Statistics (BLS) reports that forensic scientists earned a yearly median income of $52,840 in 2012. Q:What will you learn in a Certificate In Forensics program? A:A certificate in forensics is designed for individuals who wish to boost their career in the area of forensics. The program teaches students how to perform general crime scene analysis, apply fundamental concepts of forensics and science, effectively work in groups in various cases, and develop various profiles (DNA profiles). Q:Can you tell me about the courses offered in Forensics Certificate? A:Coursework for forensic certificate can vary from one institute to another. However, there are some common courses offered in almost all forensic programs. Major courses offered in the forensic certificate program include law enforcement, forensic science, criminal justice administration, criminal justice, crime scene investigation, forensic psychology, and crime scene technician. Q:What curriculum do forensics certificate programs follow? A:During a forensics certificate program you will be exposed to a variety of subjects that will enhance your existing knowledge of forensic sciences. These subjects include, but are not limited to; forensic law, criminal procedure, introduction to forensic science, criminological theory, biology, chemistry, principles of chemistry lab, physics, mathematical analysis, genetics, cell biology pharmacology and inorganic chemistry. Q:What are the benefits of a certificate in forensic science? A:A certificate in forensic science will give you an in depth understanding of the working of a crime scene and evidence collection. Students will also have knowledge of courses like organic chemistry, drug uses and abuses etc. Students will also be able to find employment as a forensic science technician, their annual median pay in 2012 was $52,840 (U.S. BLS). Q:Which are some of the subjects that will be covered during a forensic science certification? 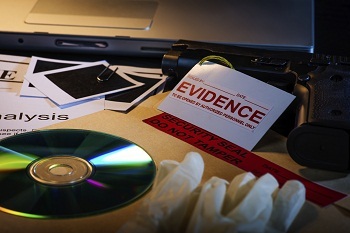 Q:How are online Forensics Courses covered? Can you give a little detail? A:Online forensic courses are offered by many popular schools. These courses are designed to prepare students for job roles in the forensics department. The coursework is covered online with the help of videos, tutorials, online lectures, classroom conferencing, slideshows, and more. The mode and structure of the program will vary from school to school. Take a look at our page for more detail.